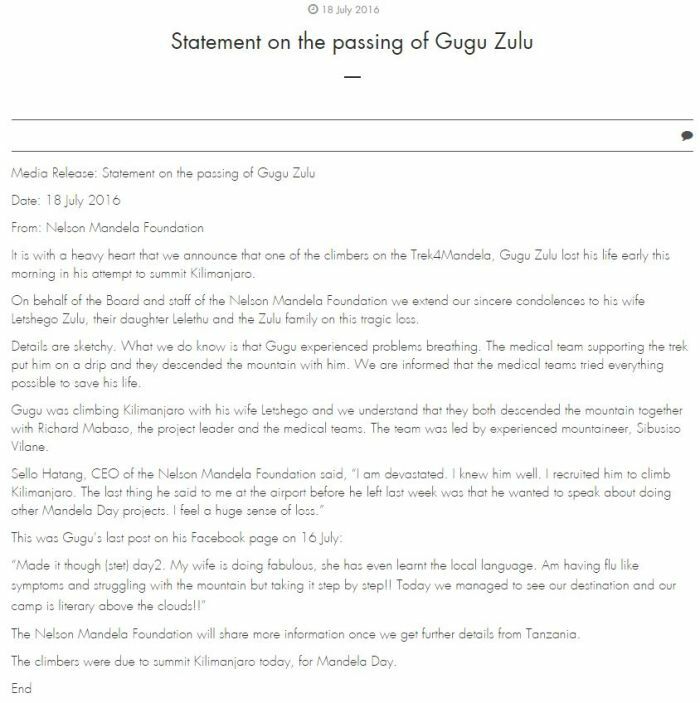 South African professional race car driver, Gugu Zulu, has died while attempting to summit Mount Kilimajaro for Mandela Day. The 38-year old was rushed to hospital on Sunday after having difficulties with his breathing at Africa's highest point with his wife, Letshego. In a statement released on Monday, The Nelson Mandela Foundation expressed their condolences to his wife and his daughter, Lelethu, and the rest of his family. Zulu was climbing under the Trek4Mandela banner, an organisation that raises funds for charity.